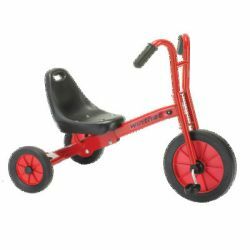 Adjustable seat position makes this trike suitable for a larger age range. Seat height 10"-20". Ages 4–12. Additional shipping charges apply.